You have no idea how much I resisted to titling this post with "hitch up the wagons!" or something similar, but now that I said it, it's out of my system. This weekend I will be going down to Texas, specifically the Dallas/Flower Mound area to accomplish a few things. I have over 20 paintings coming with me, some of which should be going up at the Ethicurean Cafe in Ethicus Hospital in Grapevine this weekend. I can't wait to bring back some pictures- the cafe is staffed by classically trained chefs and I am looking forward to trying it too ;) I have never exhibited work for an extended period out of state in the U.S. except for small mail-art shows, and I am excited to have my animal pieces in front of the families and medical personnel that will be in the area. I also have a residential mural job which is why I will be there a couple of days- I REALLY can't wait to show you that! 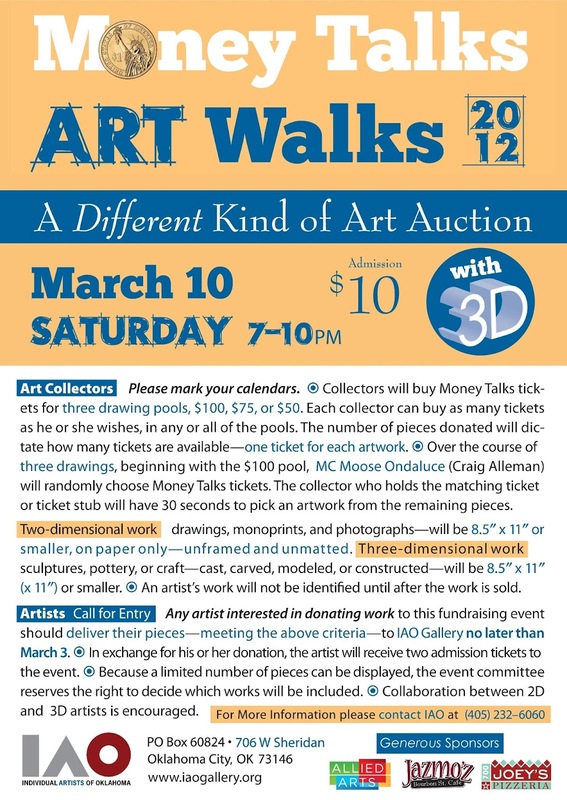 If you are in the local OK/OKC area, then next up is Money Talks, Art Walks on Saturday, March 10th. 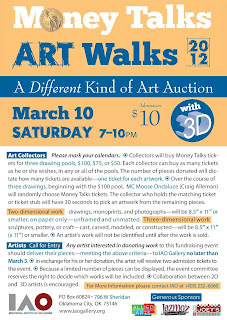 This event is located at IAO Gallery at 706 W. Sheridan in Oklahoma City and benefits Individual Artists of Oklahoma- it is great fun because it is like a game show and an art auction combined- you buy a ticket and when your number is called you can pick a piece of art off the wall (you have limited time to do this!). New collectors can start acquiring pieces they love, and this benefits artists too- they meet new collectors/admirers of their work! I dropped off two pieces the other day to add to their pile of goodies- one is a tea-stained piece and the other a small watercolor with a ghost orchid (one of my fave flowers to paint!). I will post a sneak peek on my Facebook Page closer to the date.